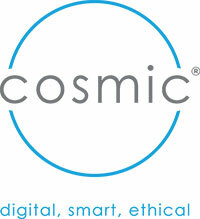 Cosmic is a professional digital agency based in Honiton, East Devon. We design, build and host websites, support organisations with social media, search engine optimisation and pay-per-click consultancy and management. We also provide expertise through IT technical support, IT training, leadership and social enterprise consultancy. Cosmic is a social enterprise, which means our business has a social aim; to ensure the benefits of living in a digital world are available to everyone.